is honored on Panel 18E, Line 12 of the Vietnam Veterans Memorial. He majored in Aeronautical Engineering and graduated with honors at the top of his class in 1952. 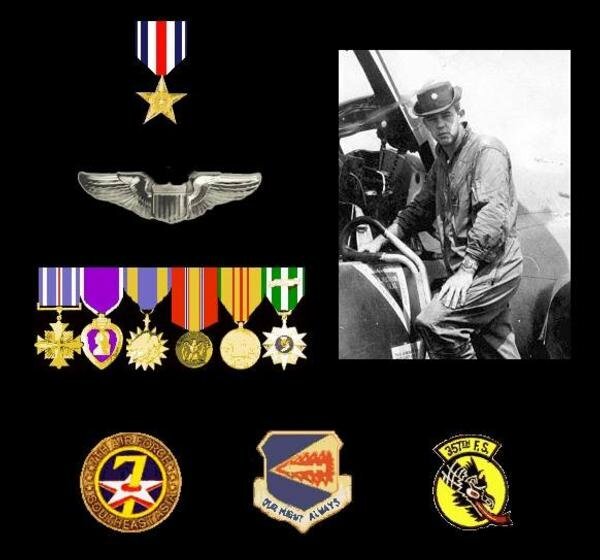 He served in the United States Air Force with excellence, and in addition to being an engineer he also became a jet fighter pilot. Later O'Grady earned his Masters Degree in Aeronautical engineering at Rensselaer Polytechnic Institute. 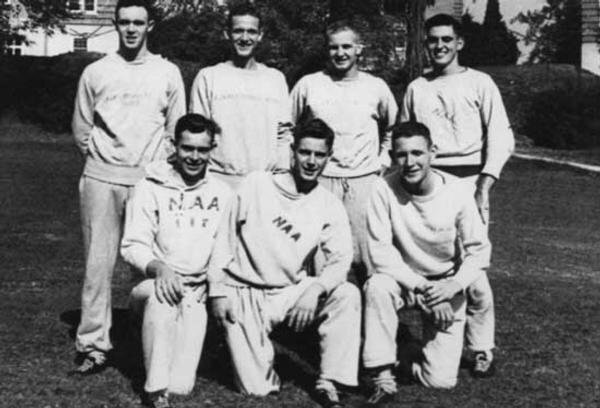 O'Grady was a heavy weight champion boxer and a track star at Annapolis. He loved flying and earned his pilot license at 14 years old even before he was able to drive. He was a tall man standing 6'3' in bare feet, he had brown very curly hair, and hazel eyes with a hint of Irish green. 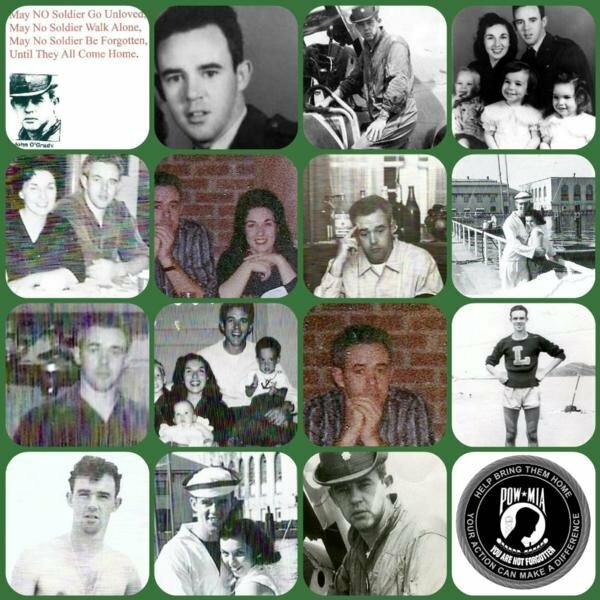 He was highly intelligent, very athletic and a devoted uncle,father, son and husband. He had high moral standards and lived his life with great integrity, and had a strong faith in God and his country. 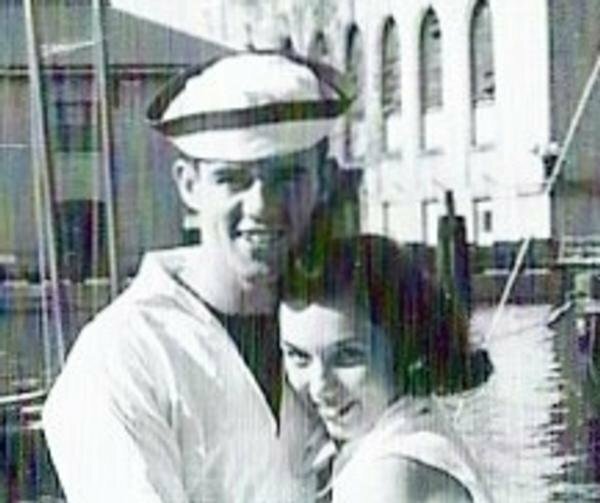 He married his high school sweetheart, Diana Pascale, in 1952 and over the next 14 years they had seven children. O'Grady was a very loving and involved dad. He embodied compassion and strength and as a father utilized strict but gentle discipline. He lived life to the fullest and savored each moment. 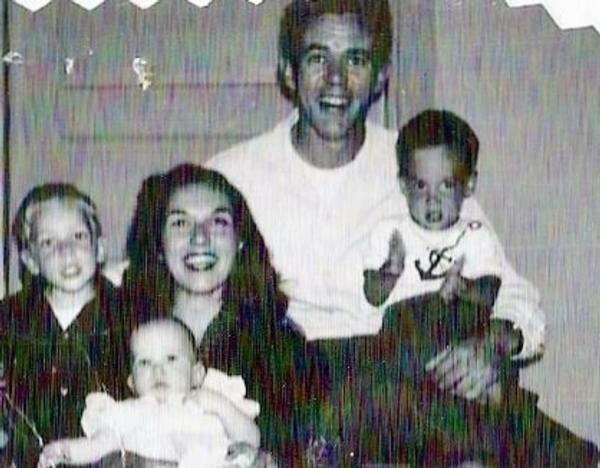 He had an incredible zest for living and he instilled his passion for life and learning into his children. 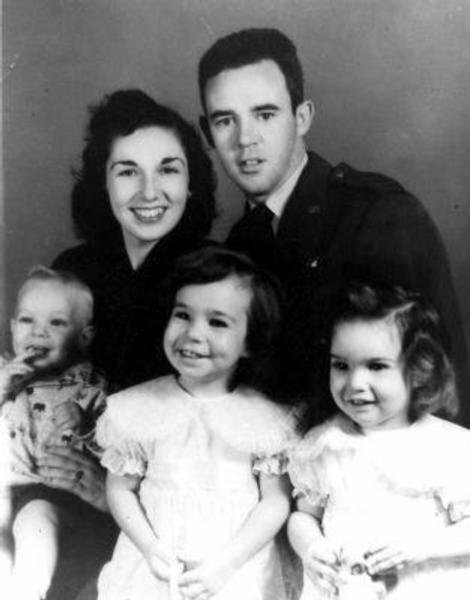 As an Air Force family the O'Grady's relocated every couple of years, but the Colonel worked hard to ensure easy transitions with as little disruption to the children's lives as possible. They moved with the precision, discipline and strength of a typical military family. 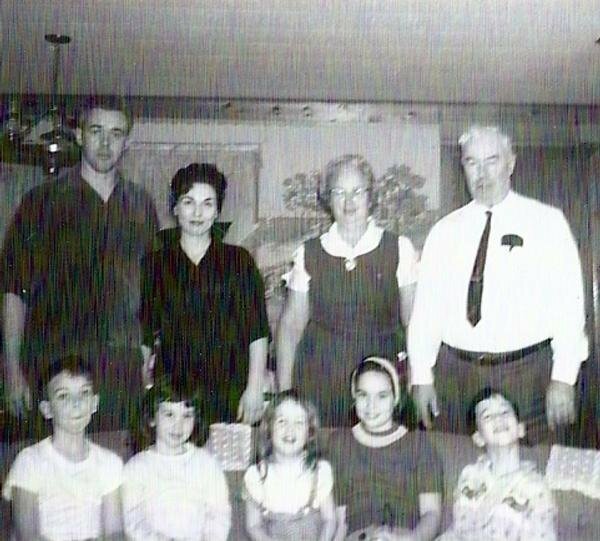 When the family would settle into their new neighborhood, he would encourage his children to make the best of their situation, by making new friends, getting involved in sports and other activities and by working hard to succeed. Colonel O'Grady loomed large among his family as his career reached amazing pinnacles. In addition to his Masters Degree in Engineering, he had specialized training and expertise in the anti-ballistic weapons systems on the F-4 aircraft that he helped to design. O'Grady also worked on the Saturn and Jupiter rocket booster system at Redstone Arsenal in Huntsville, Alabama, that put the first monkeys into space. He could also be a free spirited child at heart, One childhood memory, I recall, that exemplifies this trait was when he dressed up at Halloween as the Great Pumpkin, with his homemade costume he would go out and surprise all the neighborhood kids. He played games with us, took us on nature walks, read stories to us and taught us many lessons of life and living. He taught his children manners and to respect others, and he encouraged us to explore, learn, teach, achieve, question and seek answers. Most importantly he lived his life in an exemplary manner which his children tried to emulate. Another memory is at Christmas , he would lead all 7 children in a great rendition of the song 'The Little Drummer Boy' using instruments, he would conduct the family orchestra. I can recall when it snowed, while we were living in Maryland, him taking all the kids. even the neighborhood kids, on the sled down the steep hill we lived on. He was a hands on Dad! 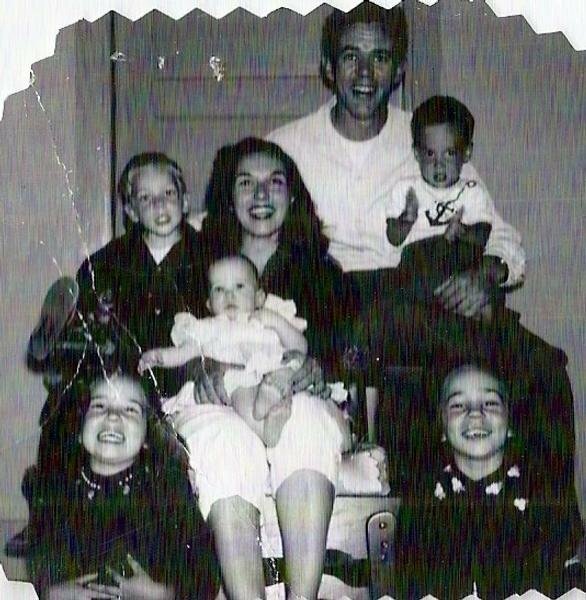 John O'Grady left behind grieving parents, a lost and lonely wife, seven confused and desperate children, and many friends and relatives that missed him greatly. 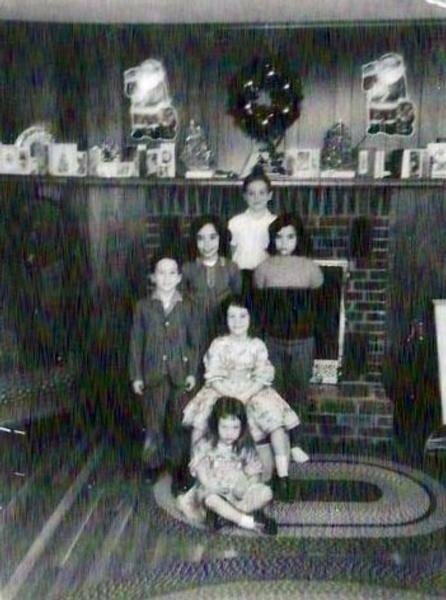 Later, he would go on to have 19 grandchildren,that sadly will never know how awesome their grandfather was. Yet, each O'Grady grandchild carries on his legacy by living their lives with great courage and inner strength. They inherited his great work ethic and have each achieved great success in their own lives. We shared a unique attachment; one that not time, distance or separation could quell. He nicknamed me “Love” as I always showered him with affection and our strong bond was timeless and endless. I can recall once when I was just barely 4 years of age, I had drifted into the mental state just between consciousness and sleep. My father had arrived home late that evening, my mother saw me lying there in the playroom and told my dad to carry me to my bed. As his strong arms lifted me up and he began to move me, I felt such peace, joy and tranquility, I can still hear my mothers whispers.” shh, quietly do not wake her” I continued to feign sleep because the comfort I felt in his arms was an amazing feeling of happiness and solace. My recollections are not just of memories but also of emotions evoked when I think of our time together. When I was close to my dad I was overcome with a sense of safety and security and most of all I felt utterly and completely loved and accepted by him. He made me feel important and unique.. My time with him helped me to gain self confidence, he believed in me and as a result I believed in myself. For 35 years I possessed only one photo of my father. 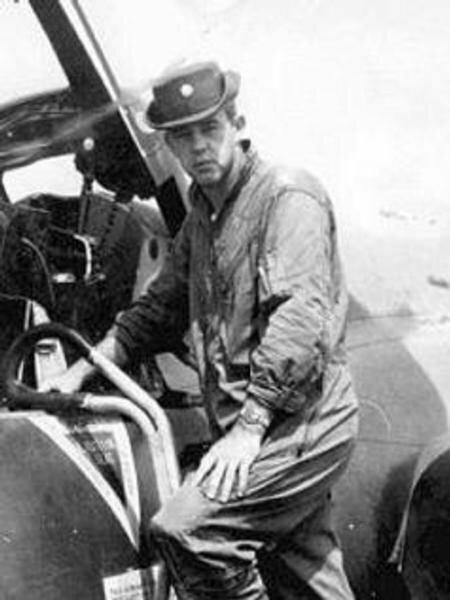 It was an old black and white picture of him wearing his flight suit, standing in front of his plane. It was one of my most treasured possessions, I always kept it in a frame hanging on my wall or sitting upon my mantle in every home I ever resided. Whenever I relocated, it never felt like home until his photo adorned the house. Many years later in my life I married a man, tall and smart like my father, and he instantly charmed me with his wiles. I rushed into that marriage to my detriment. After we married another side to this man appeared, one that could be cruel and insensitive. He ridiculed and belittled me and in time chipped apart my self worth. In time his abuse became more blatant and his anger would turn more violent. It was a slow progression that weakened my will eventually deteriorating all my strength making it difficult to break the cycle. Eventually, the progression of the domestic violence became a way of life. I made unsuccessful attempts to end the marriage and break from him completely. Using my children as my excuse, I repeatedly allowed him to slowly creep back into our lives. I had allowed myself to become a victim of emotional, verbal and physical abuse and I felt trapped. Until one poignant moment in time became my awakening, my clarity, my salvation and my new beginning. He was angry over something trivial again, and he grabbed the framed photo of my father, He knew it was my only photo of my father, he was keenly aware of my dad's story and he realized the significance of that picture. He grabbed it off the wall, took the photo from its frame, threw the glass frame to the floor, the shattering glass felt like chards of glass ripping through my heart. I stood there frozen, feeling helpless as he took the photo from its frame. He proceeded to rip the picture, as tears streamed down my face I grabbed the two remaining pieces of that photograph from his hands, determined to stop him from tearing it any further, I ran as fast as I could. Finally, I felt I was far enough away to be safe, and I sat down and cried, and stared at the photo of my dad. It seemed my father's eyes were staring back at me and I suddenly realized how far I had retreated from my father's love and how far I had strayed from his belief in me. In those early years he had taught me to be strong and self assured, he instilled in me the belief that I could achieve anything, I had gained inner strength and confidence from him, Yet, I married a man that had chipped it all away. This brief second of clarity made a lasting impression. I suddenly knew what I had to do. I would take back my life by making a clean break. I left my marriage behind in the ruins where it belonged, I took the necessary steps to protect myself and my children and never once looked back. That night I felt my fathers prescense , I knew he was near. He was telling me that I was deserving and worthy of love and happiness. In stark contrast to the man that belittled, ridiculed and humiliated me and made me feel worthless and unloved. I faced the following days with a new found courage and determination. The photo still hangs on my wall and the torn piece, taped together is a constant reminder not to let self doubt overcome me, and to never loose sight of what is truly important in life. Ironically, this photo was posted on some of my personal websites, but ended up copied by others and ended up on other sites, and even in newspaper articles: Yet, I was the only one who was aware of the tear in the left upper corner and the meaning behind it, I'm sure others never even noticed! 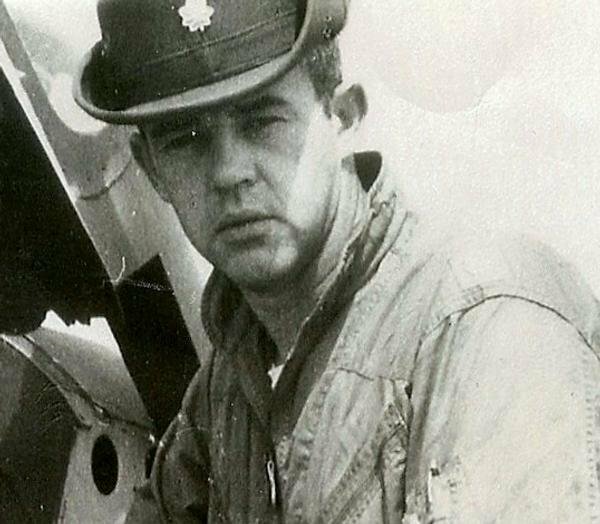 O'Grady managed to place the letter into the out box just prior to flying his 31st mission over North Vietnam, as he placed the letter in the box he did not realize those would be the last words he would ever write! Even before the letter arrived to its destination in Las Vegas, Nevada, the O'Grady's family home, even before Tara was able to read the loving words her dad had written, two uniformed men knocked at the door. Those officers came to inform Tara and her entire family that John O'Grady's plane had been shot down and he was missing. 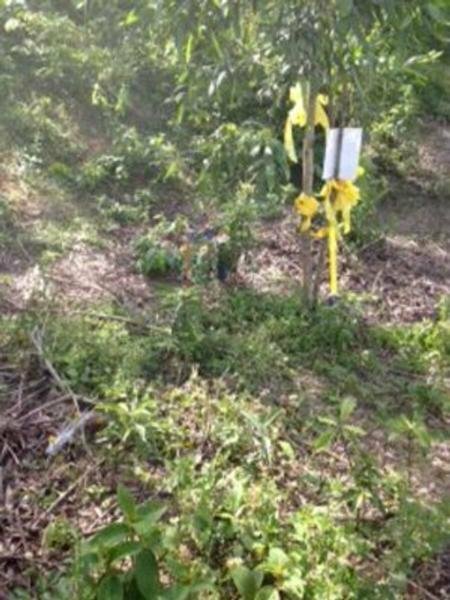 It would be years before Tara realized the full impact and extent of the devastating consequences resulting from this tragedy. I am Tara O'Grady, a proud soldier's daughter, and I recall the deep bond and closeness I shared with my father. For 20 years I re- read that letter hundreds of times, memorizing each and every word until it was lost forever in storage fire. I lost many things in the blaze that day, but none of the items scorched that terrible day, affected me nearly as much as my Father's Letter. I kept vigil for my dad, remaining filled with hope and attempting to keep the faith and believe that his last words; wishing to give out great big hugs, would someday come true. I would never give up on my daddy, I longed for, prayed for and dreamed of him everyday. I attempted through the years to obtain information about my dad. I was told his plane was shot down, but not anything else, not what had happened to him. Obstacles that included family, lies, government and personal tragedies kept me from learning any further information about my dad for 20 plus years.. The Air Force ceased providing me with any information or documents at all, after a fraudulent call by a family member claiming to be me and stating 'I do not want to received any further updates about my dad.' How could someone be that cruel,leaving me in the dark and filled with uncertainty? I remained in total abyss for many years.I wondered if my dad could be alive, alone, scared or suffering. Through hope, prayers, sheer determination and the generosity of some caring strangers, I slowly obtained bits of information about my dad. For over 25 years I asked, Did He Suffer? Is He Alive? Is He Dead? Is he buried somewhere? I did not get many answers and those answers just led to more questions. I was never able to say goodbye but I was determined to someday pay homage to my dad. I never had the chance to say goodbye, you were just gone. I dream and hope that someday I will be able to visit the wall with my three children. Though I was very young, I remember you vividly and we shared a special bond. I miss and love you very much and often wonder what path my life would have taken had you come home. But you didn't come home and your baby girl (THE ONE YOU CALLED LOVE) had to grow up all alone; yearning for you. You were the greatest Dad and you were and are my HERO! My baby girl, (your grandbaby girl LeaAnna Marie) joined you in heaven and I miss you both very much!! !Please take care of her for me. Tell Mema and Deda how much I miss them too and for them to kiss their great granddaughter for me.